We have survived many calamities this early fantasy hockey season but now comes the Pre Trade Deadline edition of “Chutes And Ladders”. Riding the fortunes of a fantasy hockey team can be a lot like the original Milton Bradley game. There are enough twists and turns to drive any normal person crazy. So imagine what it is like for the average hockey fan who takes on a fantasy hockey league. Week 19 is a very strange week and this is where having a fresh outlook on the fantasy hockey landscape comes in handy. Maybe that is because the schedule looks a bit different. Last week was because of our nice little “Hockey Day Across America” but this week does actually return to a more normalized schedule. The week gets off to a slow start but will build its way to a weekend that will feature much in the way of trade deadline chatter and maybe some moves in the meantime. As the fantasy playoffs get closer, it is time to first reveal our Fantasy Player Of The Week. Congratulations to Jonas Hiller of the Anaheim Ducks on winning this week’s Fantasy POTW for Week 18 in your fantasy leagues. He stopped 98 of 102 shots, racked up a 3-0-1 record, and had a stellar .961 save percentage, along with a 31 save shutout against the Florida Panthers. The once 20 point deficit that the Ducks faced is now down to five mostly because of Hiller’s stellar 13-3-4 record since January 1st. The overall numbers have improved to a 2.62 GAA and .910 save percentage for Hiller. It is the second week in a row that we bestow the honor on a goalie as goaltending can win championships this time of year in your fantasy leagues.There are questions as to whether or not he can keep this play up, but this point Hiller and the Ducks are playing like they were projected to at the beginning of the season. His resurgence could not have come at a better time for the fantasy owners out there and the bonus is just wait until they get home after this eight game road trip. There is only one week until the trade deadline and this is where injuries can play a role in deciding if teams are going to make a move or not. When that unexpected one hits, we will do our best to inform you of it. It is time for the injuries to take their rightful place in the column as they always do. Tuomo Ruutu (Carolina Hurricanes) — Ruutu was injured last week and the injury which is of the upper body variety will still cost him another two to maybe three weeks. Lean on the lower end but that nonetheless impacts his trade status which is pretty well null and done fantasy hockey fans and hurts your bottom line as well. Sidney Crosby (Pittsburgh Penguins) — Mr. Crosby is still out with the soft tissue/concussion injury that has been plaguing him since early December. Though there is still no timetable on the return, please note that he is starting to increase the level of activity in practice. He will not be back before the deadline but do not be surprised to see a March return. It will be interesting to see what Pittsburgh does at the trade deadline. That may give an idea as to how Crosby is really progressing. Nikolai Khabibulin (Edmonton Oilers) — Khabibulin looked like he could potentially be traded and yes he had a little more left on that deal but there were a couple teams that seemed to be interested. Now, with a groin injury that is expected to sideline him for a week or two, that value is now just about null and void. Yes the goalie’s numbers are not that great this year but on the right team, he could have been a pretty good backup which would have helped those fantasy numbers too. Mike Green (Washington Capitals) — Green is now back and is definitely feeling good. As a matter of fact, he is playing tonight against Carolina and should see more minutes than his weekend return dictated. As he gets back into the swing of the offense, his numbers should gradually rise and maybe the team’s numbers do in suit. Yes there is some apprehension still to see if he can stay healthy but it seems with the surgery, so far, so good. Andrei Markov (Montreal Canadiens) — The coldest way to describe the Markov injury is just look somewhere else. Even if Andrei Markov returns, do you even know what your getting in him? Can he even stay healthy? Until he returns, do not even bother but we have heard he is very close. Simon Gagne (Los Angeles Kings) — Gagne is currently on the IR with concussion like symptoms and with his previous concussion history, it may be awhile before he comes back. The problem lies in the fact that Gagne has started skating but as Darryl Sutter proclaimed Gagne is “Further than closer!”. Simply it will be awhile so adjust accordingly. Matt Duchene (Colorado Avalanche) — Finally Duchene did come back and played on Sunday but it was not a very good return as the Avalanche lost 5-1. He played a hair over 18 minutes but was really a non-factor as he was getting his bearings adjusting to game speed. There were no shots on goal and one penalty taken. It is expected that Jean-Sebastien Giguere will return as well on Wednesday. The Avs are starting to get healthy again but Duchene will need to produce more than he did before his injury. James Wisniewski (Columbus Blue Jackets) — The defenseman will still be out at least a couple more weeks as his recovery is progressing well. There is no sense in dropping him just yet. His return is likely to be very soon. With trade rumors surrounding Rick Nash, Jeff Carter, and seemingly half the Columbus cast, Wisniewski may come back to a very different roster. Jason Garrison (Florida Panthers) — When doing a little scouting, sometimes one sees an event that is just stunning. How rare is it to see a player’s skate pretty much disintegrate at the NHL level? It was seen Saturday and as a result, Garrison is now nursing a lower body injury. Garrison has been put on the IR but could be back as early as this weekend so that is good news for fantasy owners. Nathan Horton (Boston Bruins) — This is just another sad story in what has become unfairly in some ways “the year of the concussion”. Horton has had another fairly substantial setback which means honestly you may not see the power forward until sometime in March at the very earliest. The potential exists that he will not even be ready for the rest of your fantasy season which proves the adage that there is no such thing as a mild concussion. Curtis Sanford (Columbus Blue Jackets) — When it is bad, it just gets worse for Columbus as really the only fantasy surprise out of there is now sidelined with a back injury. Backs and goalies can be very wonky to say the least so day to day is about the best this injury to Sanford can be diagnosed as of the moment. For the week it seems, Steve Mason will get most of the starts so stay away from the CBJ needless to say. Jimmy Howard (Detroit Red Wings) — Now with Ty Conklin placed on waivers, it appears that Howard will FINALLY be ready to play tomorrow against Chicago. So it took a few extra days but honestly the extra rest benefits Howard, fantasy owners, and the Red Wings for the rest of the season and beyond. Hopefully in weekly leagues, he is already activated. Rich Peverley (Boston Bruins) — Here is another one that hurts Boston as Peverly will miss another 4-6 weeks with a sprained left MCL. There has even been some talk this could linger into April. The problem is Peverley was on pace for around 55-60 points and add in the loss of Nathan Horton which makes a potential trade for Boston more plausible. The Bruins need an offensive shot in the arm at some point no matter where it comes from. Also do note that guys like Jamie Benn (lacerated leg) and Cam Ward (lower body) should be back very soon. Benn is likely due back by the weekend and Ward by mid-week which should boost your fantasy hockey leagues. There were a lot of important injuries and these are ones that impact fantasy rosters the most at the moment. Players are coming and going so it is important to check out Twitter for the absolute latest. Here are the ladders…….and with a presidential feel. These are for the players who have seen their values shoot up for Week 19. Some are waiver wire pickups but most are not. February gets into the dog days just before the NHL Trade Deadline (seven days to go) so here are a few ups before we get to the downs. Jason Spezza (Ottawa Senators) — Spezza had seven points in just two games last week and already has a goal in today’s game on Long Island (at press time). Overall in his last four games, he has 12 points and we point out to the “Spezza Spike” to indicate the stretch run is his best time to shine for your fantasy team. The best way to describe his performance is a lot like former President Bill Clinton. Clinton started slow but built his way upward. Blake Wheeler (Winnipeg Jets) — It is not a surprise that Blake Wheeler and Bryan Little play well together but on this crucial home stretch for Winnipeg, Wheeler has really been on a fantasy run. The man is an assists machine of late with seven assists in four games last week and oh he added a goal. With the extended home stand (eight games in total), starting Wheeler is not only wise this week but probably going forward along with his partner in crime. Think of him as President Ulysses S. Grant. He is a player who is good on the home front. Corey Perry (Anaheim Ducks) — Perry was a blazing ball of fire in Week 18 with seven points and six of those were goals. 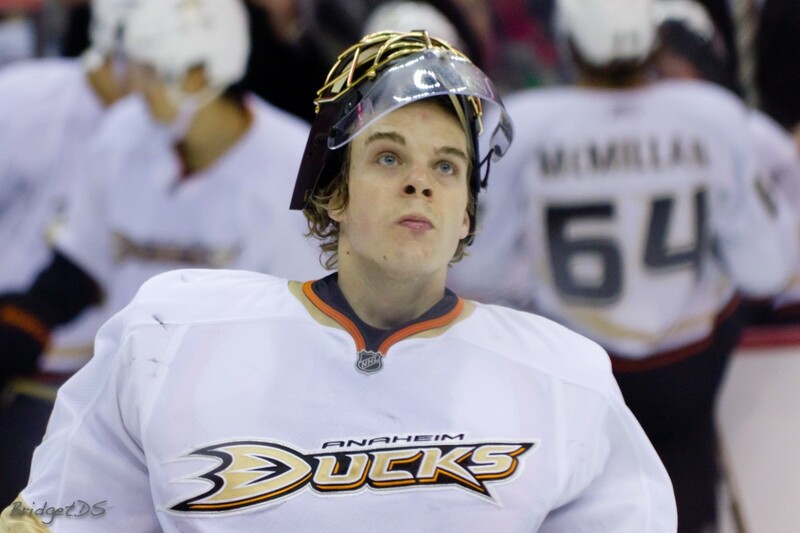 Not surprisingly, along with Jonas Hiller’s performance, the Ducks went 3-0-1 last week. The forward for Anaheim plays hard and physical in, around, and everywhere that involves the net. Perry could go on a similar run that he did last year so look out, his spike is also well documented. Think of a guy like Perry as President Theodore Roosevelt. Just when you count him out, he fights right back even harder. 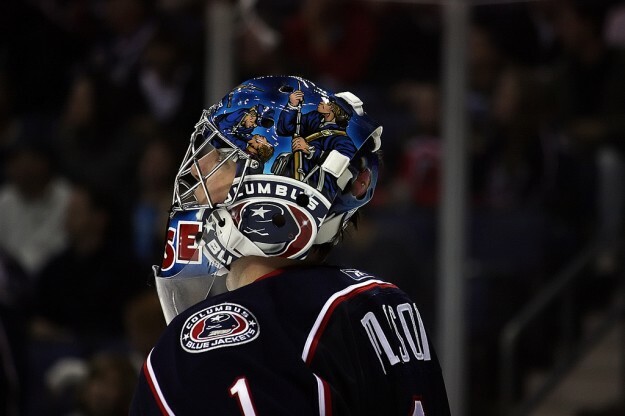 Steve Mason (Columbus Blue Jackets) — What else can really be said here? The numbers are so horrid and yet the strange oddity is that last night, Columbus almost pulled off two points against the New York Rangers. This was in spite of Mason who had pucks bounce off his head and other body parts then off posts. The work ethic is bad enough but when the “losing culture” sets in, it really offers little or no hope. The guy is now a walking three to four goal a night goalie and makes mistakes not even rookies would ever make. The reality is he should not be on your fantasy roster at all. Philadelphia Cheese Steak Goaltending — It still is an issue for Philadelphia as they just seem to give up goals in bunches and no matter who they acquire for defenseman (Nik Grossman and Pavel Kubina) will really help appreciably. Just take a look at the Pittsburgh game as Ilya Bryzgalov gave up three really awful goals and then Sergei Bobrovsky really gave up two clunkers out of his three allowed. It does not get any easier as they head to Winnipeg on Tuesday. Maybe they could bring up Michael Leighton right now. Hell it could not hurt. At least Leighton is familiar with this circus. Do not start these guys if you can avoid it. Los Angeles Kings lack of scoring depth — This is the second week in a row but the Kings could not score for Jonathan Quick if their life depended on it or anyone’s life for that matter. The shots seem to be there but the finish vanishes like a bad B-rated film. Even top liners like Anze Kopitar and Dustin Brown have had their moments along with Mike Richards. If only they had a few more goals, just imagine how many more wins there would be in La-La land. Also, when you need the help of a clock malfunction just to score a third goal then follow it up with two abysmal performances, there is pain and then there is the Kings offense. Approach fantasy players on this team with extreme caution. This will be literally rinse, wash, and repeat until the Kings acquire someone with actual grit to score near the net like anyone who can score. Now that would be a good fantasy idea. Please send fantasy suggestions to the Los Angeles Kings via Jonathan Quick to hopefully rectify this situation for his sanity. Well that wraps it up for this week. Good luck and hopefully it is a solid Week 18 for everyone out there. There is always the unexpected in fantasy hockey and we hope to always spotlight the expected also. Do not forget to follow us @TheProgramBTR for all your fantasy hockey questions and more. Thanks again for reading.